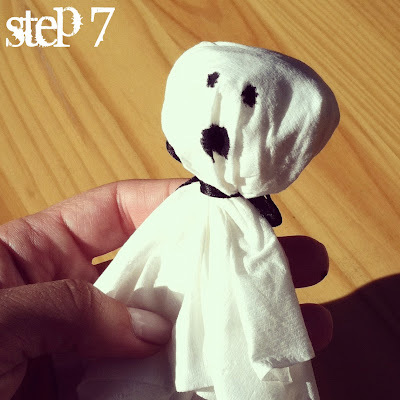 Do you remember making ghosts out of tissue when you were a kid? I still think they're the cutest things ever especially when you make a bunch and hang them everywhere. 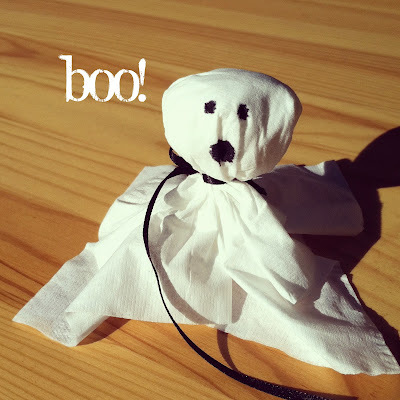 They're super easy to make and you probably have everything you need to make them with already laying around the house. 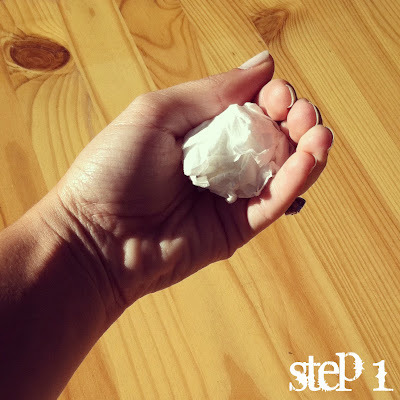 roll one tissue into a ball. 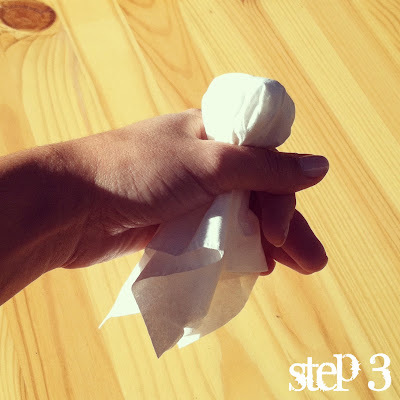 place the rolled tissue in the center of the second tissue. 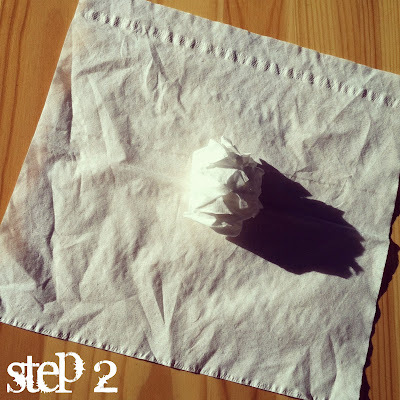 fold the second tissue over the rolled one. 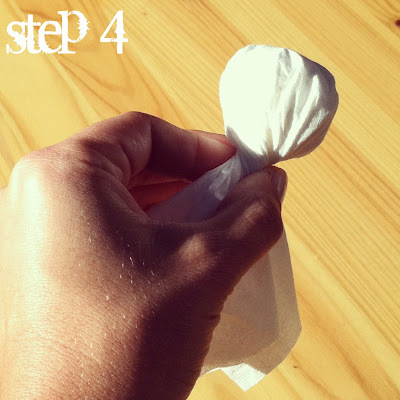 twist the second tissue to secure the rolled one in place. tie the ribbon around the twist leaving one end long. flip over so the bow-side is facing down. 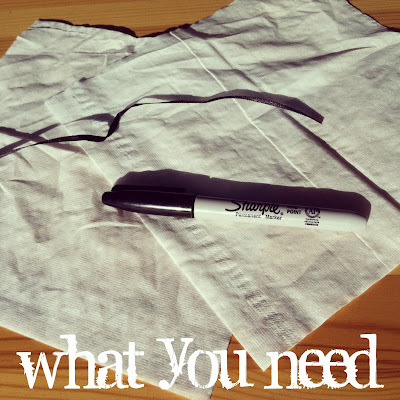 with the marker, draw two small dots for the eyes and a larger one for the mouth. 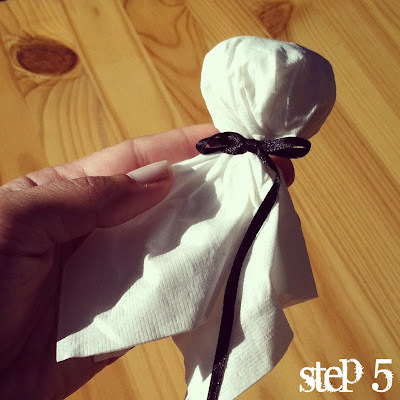 Use the long end of the ribbon to hang your ghosts. 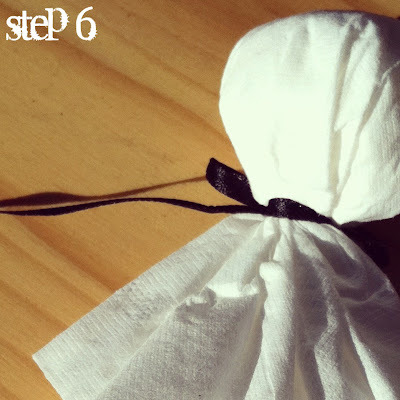 This will help to achieve maximum floating effect. Awww my mom used to make tons of these when I was little! Such a cute and easy decoration! i remember making these over tootsie pops. i'd completely forgotten about them. thanks for the reminder. i should make some this year! 'for maximum floating effect' lol. i will have to make some of these little guys. super easy!